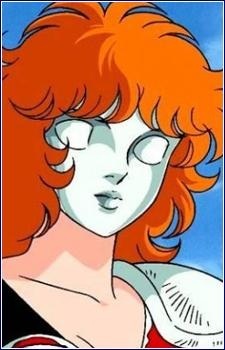 Seiya's Mentor, she is a mysterious and analytic Silver Saint. Her actions in battle are focused on discovering the enemy's weak points, and she also has an ease to adapt herself to any situation. One of the few saints aware of the evil ruling the Sanctuary, she was accused of betrayal after deceiving Whale Moses and Hound Asterion, pretending to kill Seiya. After saving herself of a dangerous condition, she fought Asterion and won, and showed her belief in the power of the main Bronze Saints to defeat the prevailing evil. Her skill is considerably good, as she was capable of cleaning her mind to evade Asterion's tactics and climbing the steep Star Hill all by herself. It was suggested that Seiya and Marin could be siblings, because when she entered the Sanctuary, she was searching for a lost sibling, just like Seiya. However, the rumor was proved wrong after the appearance of the true Seika.